New accelerators can be exciting, especially those touching new verticals. 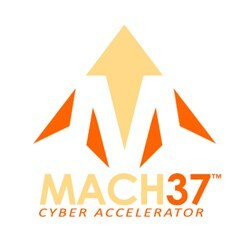 Mach37 is a public partnership formed from an initiative to grow the State of Virginia’s cybersecurity industry. Between the federal government, military, and the CIA based all in the northern parts of the state, cybersecurity is a very important industry. The initiative, called Semper Secure, is backed by the state of Virginia in conjunction with Northrop Grunman, one of the biggest defense contractors in the world. The program was modeled after traditional 90 day cohort accelerator models, except for the fact that it’s focusing just on cybersecurity. This siloed model has worked for other cities in other industries as well, like New York’s Digital Health Accelerator and Code for America’s civic accelerator. While the region is ripe with longstanding security firms, Virginia is excited about the new wave of cybersecurity startups. According to civisourceonline.com there are a number of private sector firms as well as angel investors and VC’s interested in the highly lucrative space. ” We’ve studied other accelerator programs, and we didn’t want it to be a boot camp, each entrepreneur is going to come away with a very different experience from others in the program,” Rick Gordon the Managing Director at Mach37 told CiviSource.